Swizz Beatz and Chris Brown ignited Las Vegas for Reebok Classics’ PROJECT party at Moorea Beach Club at the Mandalay Bay Hotel & Casino last night. A shirtless Breezy worked up a sweat while joining Swizz to perform their Haute Living collaboration “Dance Like a White Girl” for the first time together. “I want to see ya’ll jump out your motherfu**in’ shoes tonight,” commanded Swizz as Chris danced along to the rowdy club banger. It’s showtime! “Me and swizz rocked the hell out of the stage tonight and the REEBOK party! Performed dance like a white girl! Epic,” tweeted Breezy following the performance. 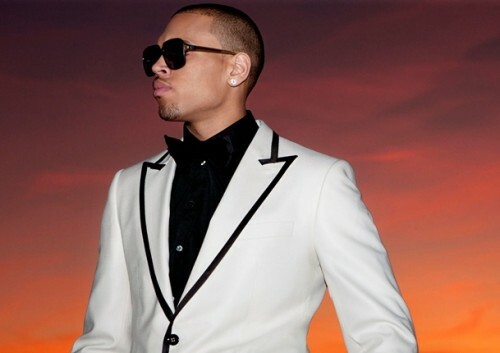 It’s been a year characterised by chart success for comeback kid Chris Brown. As such, the 22 year old caps it off with a sprawling North American trek billed the ‘F.A.M.E Tour’. Named after his hit album of the same name, Brown’s jaunt kicks off next month with R&B diva Kelly Rowland featuring as a special guest. TORONTO, ON @ MOLSON AMP. ST. LOUIS, MO @ VERIZON WIRELESS AMP. RALEIGH, NC @ WALNUT CREEK AMP. ATLANTA, GA @ LAKEWOOD AMP. CHARLOTTE, NC @ VERIZON WIRELESS AMP. VIRGINIA BEACH, VA @ FARM BUREAU AMP. SACRAMENTO, CA @ SLEEP TRAIN AMP. As reported here, dynamic pop duo Chris Brown and Justin Bieber have been hitting the studio to crank out a follow-up to their moderate pop hit ‘Next 2 You’. 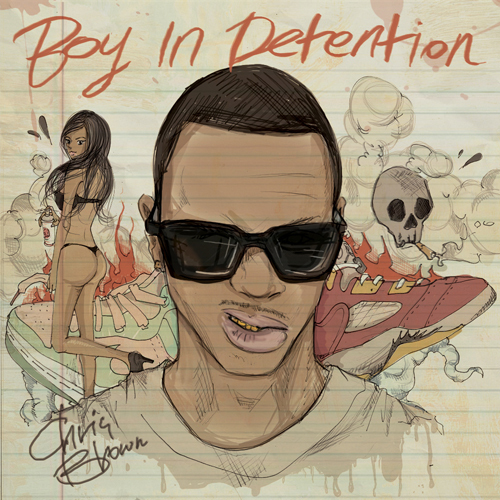 Lifted from Brown’s latest offering ‘Boy In Detention’, the track boasts a b-boy Bieber – providing his most hip-hop delivery to date. The David Banner produced cut, which samples Brown’s own ‘Look At Me Now’, is rumored to be receiving video treatment due to its overwhelming fan response. Time will tell. Chris Brown shares his passions for fashion and women on the illustrated cover of his hip-hop mixtape Boy in Detention, dropping August 5. The artwork, designed by Mina Kwon, shows a hand-drawn Breezy wearing sunglasses with a skull, flames, sneakers, and a scantily-clad lady in the background. Expect to hear a lot of rapping from the R&B singer, whether you like it or not. “Yes I’m a singer so if this mixtape doesn’t reach your quota for hip hop! Simply don’t listen,” Breezy warned his critics.